Health and Safety – Agri-Urban Buildings Inc.
At AUBI, it is our policy to provide a safe and healthy working environment, during all phases of building, for the public, our customers as well as all sub-trades and employees. 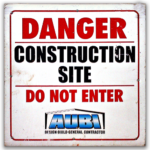 AUBI has Gold Seal certified safety coordinators, site supervisors, and project managers all trained and dedicated to help prevent risks, hazards, or accidents from occurring on our job sites. We continually upgrade our training to increase awareness and keep safety in the forefront of our business. AUBI has completed and is in good standing with ISNetworld safety program which has allowed us to successfully work in cooperation with large corporations with stringent individualized safety programs which exceed ministry expectations. We are members of the Infrastructure Health and Safety Association and have successfully completed an extensive 5 year Safety Group project with the Workplace Safety and Insurance Board. AUBI understands its responsibilities under the Occupational Health and Safety Act which is why we have dedicated staff trained to ensure our sites are exceeding the industries tough standards. We provide regular onsite safety inspections and enforce our safety policies and procedures. We believe in the cooperation of all involved parties to provide safe job sites and practices.